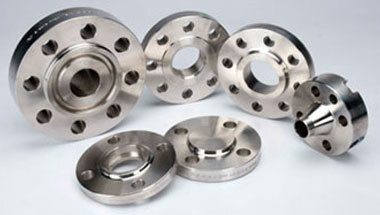 We are Supplier & Exporter of Hastelloy Pipe Flanges, Hastelloy C276 Slip on Flanges, Hastelloy B2 DIN Blind Flanges, Alloy C22 UNS N10276 Plates Flanges Manufacturer in India. Owing to the vast experience in this field, we Neon Alloys have emerged as one of the prominent Manufacturers, and Exporters of Hastelloy Flanges. The quality controllers keep stringent supervision over the entire manufacturing process of Hastelloy flanges, to ensure that these processes are carried in compliance with international standards of quality. Hastelloy is an alloy formulated of nickel, chromium, molybdenum and tungsten with superior corrosion resistance. The alloy has impressive resistance to oxidizing crevice corrosion, stress corrosion cracking and pitting. These Hastelloy Flange are manufacture in different Type of Flanges like Hastelloy B2 Blind Flange, Hastelloy Spectacle Blind Flange, Hastelloy C276 Slip On Flange, Hastelloy Socket Welding Flange, Hastelloy Welding Neck Flange, SORF Flanges, Hastelloy Collar Flange, Hastelloy Plate Flange,Hastelloy Raised Face Flange, Hastelloy B2 Flat Face Flange, SWRF, WNRF, BLRF, Hastelloy Lapped Joint Flange, Hastelloy Ring Type Joint Flange, Hastelloy Threaded Flange & Hastelloy Long Welding Neck Flange. These Hastelloy Pipe Flanges are widely use in industries like Natural gas, petroleum, chemical industry, electric power, metallurgy, thermodynamic fields, water supply engineering, steam heating, hydroelectric power station and long pipe line transportation projects. ASTM A564 Hastelloy Flanges, Hastelloy C276 Orifice Flanges, Hastelloy WNR 2.4819 Forged Flanges, Alloy C22 Socket weld Flanges, Hastelloy ANSI/ASME B16.5 Reducing Flanges Supplier in India. Uganda, South Africa, Nigeria, Jordan, Ethiopa, Morocco, Australia, Brazil, Egypt, Azerbaijan, Chine, Iran, Democratic Republic of the Congo, London, Israel, Mozambique, Malaysia, UK, Cameroon, Iraq, Bahrain, Argentina, Kuwait, Peru, Colombia, Turkey, UAE, Canada, United States, Trinidad and Tobago, Angola, New Zealand, Tunisia, Dubai, Sudan, Sri Lanka, Venezuela, Kazakhstan, Houston, Indonesia, Italy, Thailand (Bangkok), Africa, Saudi Arabia, Ghana, Russia, Germany, Mexico, Algeria, Vietnam. Bethlehem, New York, Harare, Subra al-Haymah, Byblos, Mogadishu, Mbuji-Mayi, Mecca, Cairo, Kinshasa, Jeddah, Port Harcourt, Riyadh, Abu Dhabi, Ouagadougou, Maputo, Hong Kong, Dubai, Tel Aviv, Benin, Doha, Kolwezi, Kano, Lagos, Soweto, Manama, Kampala, Amman, Conakry, Ibadan, Rabat, Port Elizabeth, Douala, Dammam, Cape Town, Aqaba, Nairobi, Tehran, Casablanca, Istanbul, Beirut, Maiduguri, Colombo, Fez, Yaoundé, Bulawayo, Luanda, Bamako, Freetown, Sharm el-Sheikh, Tripoli, Dar es Salaam, Alexandria, Lusaka, Jerusalem, Data from the UN, Singapore, Accra, Algiers, Giza, Pretoria, Johannesburg, Kaduna, Khartoum, Abidjan, Zaria, Omdurman, Cairo, Addis Ababa, Dakar, Muscat, Brazzaville, Durban, Lubumbashi, Antananarivo.